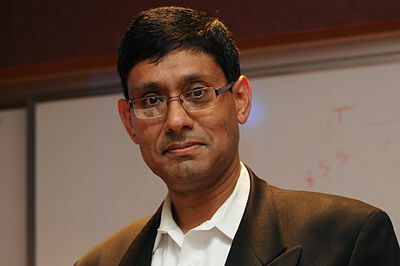 MICDE Seminar: Prith Banerjee, Chief Technology Officer, ANSYS, Inc.
Bio: Prith Banerjee is the Chief Technology Officer of ANSYS where he is responsible for leading the evolution of ANSYS’ Technology strategy and champion the company’s next phase of innovation and growth. He also serves on the Board of Directors of Cray, Inc. and Cubic Corporation. Previously he used to be Senior Client Partner at Korn Ferry where he was responsible for IOT and Digital Transformation in the Global Industrial Practice. Formerly, he was Executive Vice President, Chief Technology Officer of Schneider Electric. Previously, he was Managing Director of Global Technology Research and Development at Accenture. Formerly, he was Chief Technology Officer and Executive Vice President of ABB. Earlier, he was Senior Vice President of Research at HP and Director of HP Labs. Formerly, he was Dean of the College of Engineering at the University of Illinois at Chicago. Formerly, he was the Walter P. Murphy Professor and Chairman of Electrical and Computer Engineering at Northwestern University. Prior to that, he was Professor of Electrical and Computer Engineering at the University of Illinois at Urbana-Champaign. In 2000, he founded AccelChip, a developer of products for electronic design automation, which was acquired by Xilinx Inc. in 2006. During 2005-2011, he was Founder, Chairman and Chief Scientist of BINACHIP Inc., a developer of products in electronic design automation. He was listed in the FastCompany list of 100 top business leaders in 2009. He is a Fellow of the AAAS, ACM and IEEE, and a recipient of the 1996 ASEE Terman Award and the 1987 NSF Presidential Young Investigator Award. He received a B.Tech. in electronics engineering from the Indian Institute of Technology, Kharagpur, and an M.S. and Ph.D. in electrical engineering from the University of Illinois, Urbana. Digital transformation refers to the use of digital technologies such as cloud, IOT, AI/ML, to transform the way business is executed. Digital transformation is impacting every industry – automotive, agriculture, logistics, healthcare and manufacturing. In this talk we will discuss how Digital Transformation is disrupting the manufacturing industry. In the past, engineered products were designed with mechanical and electrical CAD tools, simulated and validated for correctness with CAE tools, prototypes were fabricated and tested, and products were then manufactured at scale in factories. This process required long product cycles often requiring years to build a new product. Today, one can use unlimited computing and storage available from the cloud to do generative design to explore 10,000 design choices in near real-time, verify these products accurately through simulation (eliminating the need to build physical prototypes) and manufacture the products using additive manufacturing and factory automation (Industrie 4.0). In the past, simulation tools were used to model specific physics such as mechanical structures, or fluid dynamics, or electromagnetic interactions by solving second order partial differential equations using numerical methods. Today the simulation tools are being used to solve multi-physics problems (fluid-structure-electromagnetics interactions) at scale using the most complex solvers. These products once built are connected using IOT so that manufacturers have 24/7 connectivity to all these products, and can monitor how customers are using these product; this helps the manufacturers design future generations of products even faster. The connectivity also allows them to monitor the products for failures using predictive analytics, and service these products remotely. In this talk I will discuss how the ANSYS Pervasive Simulation Platform allows hardware and software developers to work together in all phases of a product development lifecycle including Ideation, Design Manufacturing, and Operations. Simulation tools are increasingly being used in the ideation phase by designers to get real-time simulation of the parts as soon as they are being conceptualized. This has resulted in shorter, agile product cycles even for hardware products allowing innovative products to be designed and produced in months and days. Companies are increasingly using model-based systems engineering concepts to take high level requirements of products, and manage the complexity of product design using concepts of Digital Threads, Digital Twins, and Digital Continuity. We will touch upon some future directions of simulation-based product innovation around AI/Machine Learning, Multi-physics Platforms, Hyperscale Simulation, and the convergence of the Digital and Physical worlds using IOT and Augmented Reality/Virtual Reality.